Enjoy a free scoop of Ben & Jerry’s ice cream for Free Cone Day. This year’s extravaganza will be on Tuesday, April 9, so be sure to mark your calendars and grab your friends! 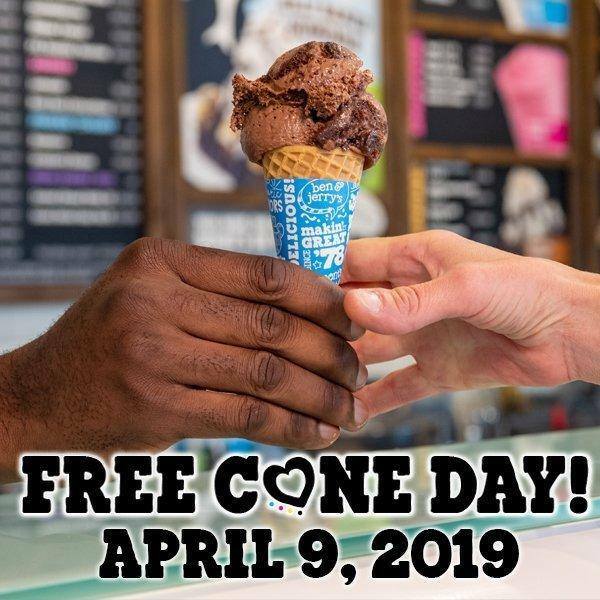 Free Cone Day is being celebrated in Scoop Shops around the world, & they will be giving away free ice cream at a host of locations between 12pm and 8pm!